American history has always been an irresistible source of inspiration for filmmakers, and today, for good or ill, most Americans'sense of the past likely comes more from Hollywood than from the works of historians. In important films such as The Birth of a Nation (1915), Roots (1977), Apocalypse Now (1979), and Saving Private Ryan (1998), how much is entertainment and how much is rooted in historical fact? 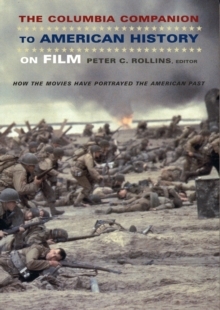 In The Columbia Companion to American History on Film, more than seventy scholars consider the gap between history and Hollywood. They examine how filmmakers have presented and interpreted the most important events, topics, eras, and figures in the American past, often comparing the film versions of events with the interpretations of the best historians who have explored the topic. Divided into eight broad categories-Eras; Wars and Other Major Events; Notable People; Groups; Institutions and Movements; Places; Themes and Topics; and Myths and Heroes-the volume features extensive cross-references, a filmography (of discussed and relevant films), notes, and a bibliography of selected historical works on each subject. The Columbia Companion to American History on Film is also an important resource for teachers, with extensive information for research or for course development appropriate for both high school and college students. Though each essay reflects the unique body of film and print works covering the subject at hand, every essay addresses several fundamental questions: * What are the key films on this topic? * What sources did the filmmaker use, and how did the film deviate (or remain true to) its sources? * How have film interpretations of a particular historical topic changed, and what sorts of factors-technological, social, political, historiographical-have affected their evolution? * Have filmmakers altered the historical record with a view to enhancing drama or to enhance the "truth" of their putative message?